A good Star Wars blog. Rogue One advance tickets went on sale today in the US, and Lucasfilm commemorated the occasion with an awesome new TV spot for the film that's pure gold for any Darth Vader fan. The Sith Lord's iconic breathing is heard throughout the trailer, paired with a terrifying scream around the 0:18 mark and then his classic "Imperial March" theme. An Imperial officer looks out at the construction of the Death Star. Judging by the blurry back of this guy's head alone, it sure looks a lot like Grand Moff Tarkin. 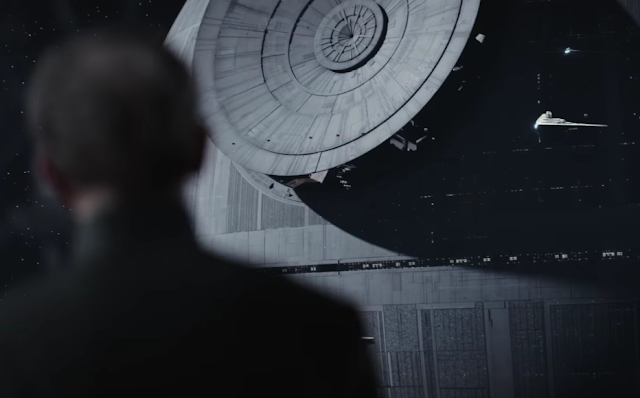 We've known since 1977 that he has close ties with the Death Star, and director Gareth Edwards even hinted at his relationship with Director Krennic, so his appearance is no surprise. "Ready?" 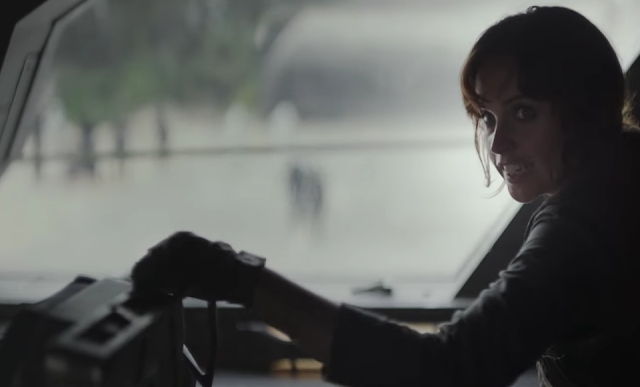 Jyn asks Cassian aboard a ship on the Scarif landing platform. Based on the officers and stormtroopers approaching the ship in the background, this scene must directly precede Jyn and Cassian putting on Imperial disguises in order to infiltrate this facility. 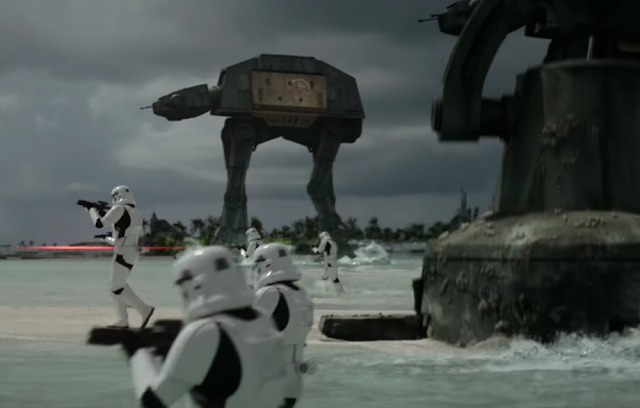 Pao screams an order on the Scarif beach. 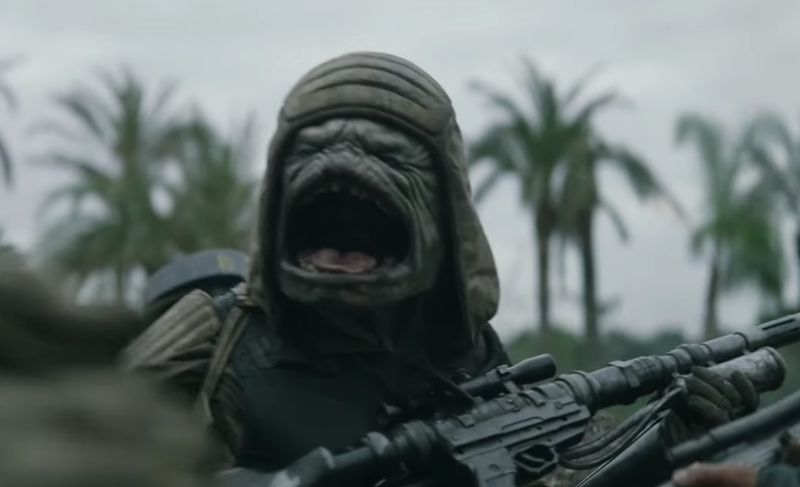 Edwards told EW that he specifically wanted a creature with a really big mouth in order to shout at his fellow Rebel soldiers during battle. According to Making Star Wars, he also has a personal battle cry of "Sa’Kalla!" 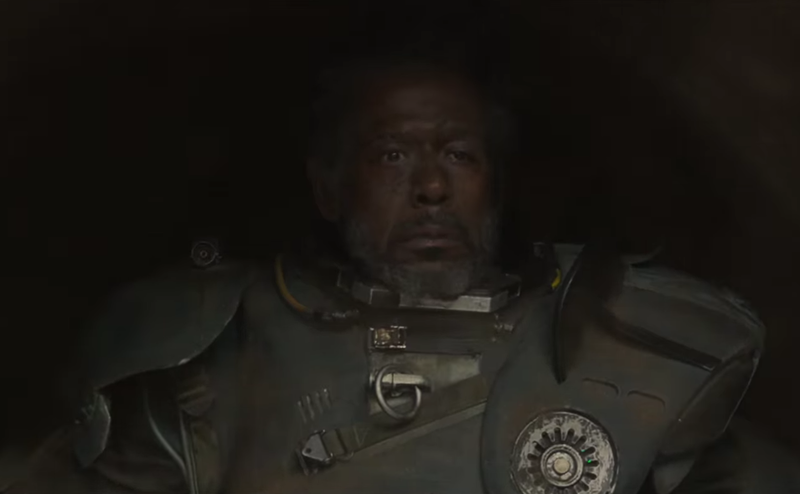 Wind blows in Saw Gerrera's face. There's really no telling what he's doing in this scene, but this is one of the only shots we've seen of him in which he's not just standing around and passionately giving Jyn advice. It's good that Rogue One has been giving us very few shots of Vader and hasn't been promising whatsoever an epic Vader action sequence that so many fans are clamoring for. But still, marketing like this is what's getting people so excited to see him in the film, and it's why they'll be so disappointed when his role actually isn't very large. No, Vader isn't going to duel Jyn. He's not going to show up on the Scarif beach and effortlessly slice apart the Rebel heroes in the film's heartbreaking climax. Most likely, he'll show up during the Death Star's test run on Jedha to have a few words with Krennic, and then appear towards the end of the film to mercilessly punish Krennic for his failure. And maybe (depending on how they want to lead into A New Hope), he'll be pursuing the Tantive IV in the film's final scene. This TV spot might be the best yet, but it's also the reason why some fans will be very upset after seeing the film. They'll say that the marketing tricked them, that Vader was totally wasted, that it's just like the Joker in Suicide Squad. And in a way, it's the marketing team's fault, but you can't blame them too much. If you had a character as iconic as Darth Vader, you'd want to advertise him as much as possible, too. What did you think of this TV spot? Have you gotten tickets for Rogue One yet? Tell me in the comments or tweet to @SithObserver, and may the Force be with you all. 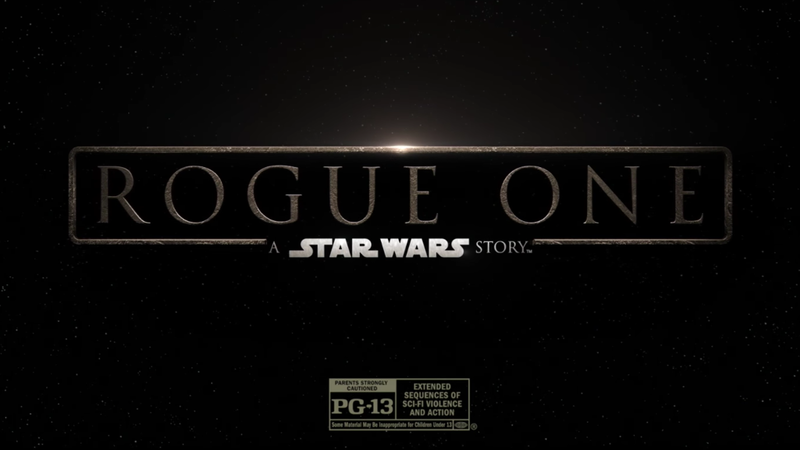 Back in June, it was first reported that Rogue One may not have an opening crawl, the scrolling text that gives the title of the film and provides some lengthy exposition. After several months of discussion about whether or not the film will – or should – have an opening crawl, it's finally been confirmed by Variety that it "most likely" won't. This announcement seems to have outraged many fans who recognize the crawl as a classic, obligatory element of any Star Wars film. But the simple truth is that it's called Rogue One: A Star Wars Story instead of Star Wars: Rogue One for a reason. It's stands outside of the main saga, and it needs to set itself apart. Fans really need to ask themselves, does an opening crawl for Rogue One even make sense? After all, this will be the first Star Wars film to utilize flashback scenes. 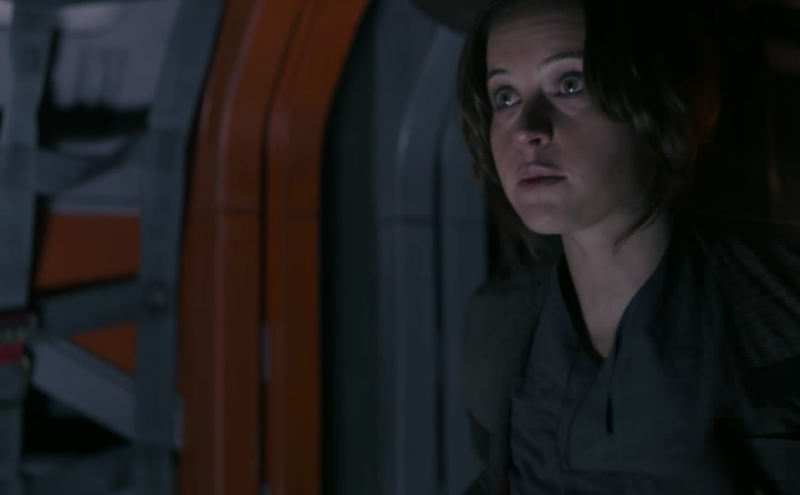 It'll feature (if not directly open with) an extensive look at Jyn's traumatic past, and we're already very familiar with the general state of the galaxy during this time, so it's not like we'll need a few paragraphs of text to explain things to us. In fact, the crawl is quickly becoming less relevant. Since Episode VIII will naturally begin shortly after The Force Awakens' cliffhanger ending, it won't need the crawl to tell audiences what's happened since the previous film. At the very least, we can expect similar discussions about Episode VIII's crawl (or lack thereof) next year. Yes, the crawl is a classic part of every Star Wars movie up until now, but it's not the most significant common thread that links them together. And neither are the space battles or lightsaber duels or quirky droids, or even "I've got a bad feeling about this." Common themes like unity, perseverance, and hope – as well as the pure sci-fi spectacle – are what have made Star Wars such a popular franchise. These are the true reasons why fans love these movies, not some 60-plus seconds of textual narration. And as we've seen already, Rogue One shares all of these core elements. So why not ditch the crawl? Why not take a few risks and set a precedent for the Han Solo spinoff and all other future Anthology movies? You may not like it, but if you truly care about Star Wars, you should be able to move past Rogue One's unusual opening and not let it automatically dampen your view of the film. Because chances are, you'll still find that it feels a whole lot like the Star Wars that you know and love. How do you feel about Rogue One not having an opening crawl? Tell me in the comments or tweet to @SithObserver, and may the Force be with you all. 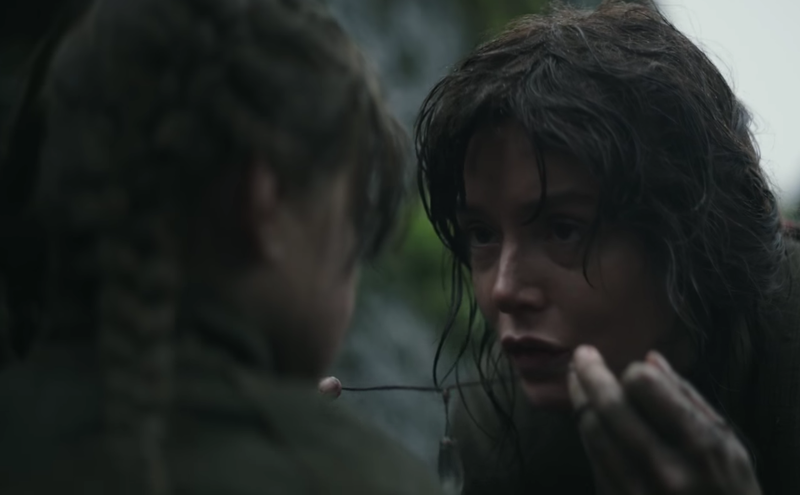 First, some familiar footage from a few weeks ago: Lyra telling Jyn to "trust the Force" as she hands her a mysterious necklace. 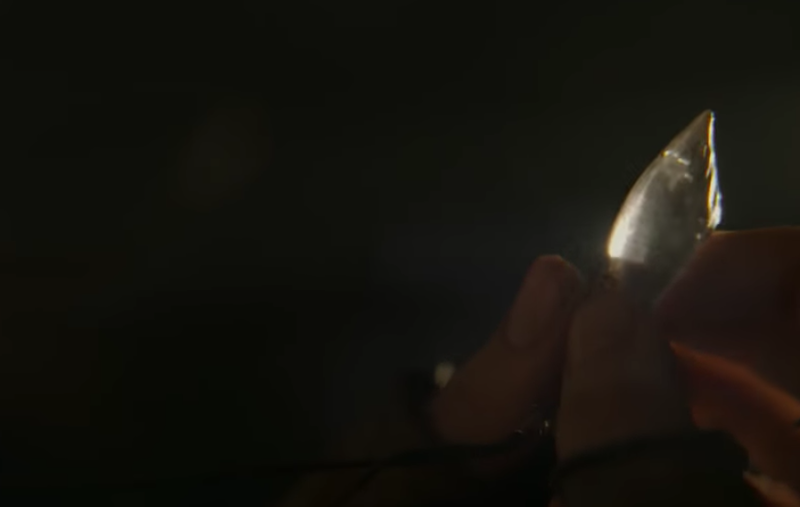 It was previously thought that the gem in this necklace was a Kyber crystal (which would certainly make sense), but it might also just be a regular ol' piece of jewelry, according to this recap of Catalyst: A Rogue One Novel. A nice, new shot of the X-Wings' assault on Scarif's Shield Gate. As revealed by EW this week, the structure that we've seen the X-Wings attacking is the key component in an energy field that protects Scarif from the Empire's enemies. The Rebels need to bust through in order to pick up Jyn, Cassian, K-2SO, and possibly others (who have secretly infiltrated the planet), and recover the Death Star plans. 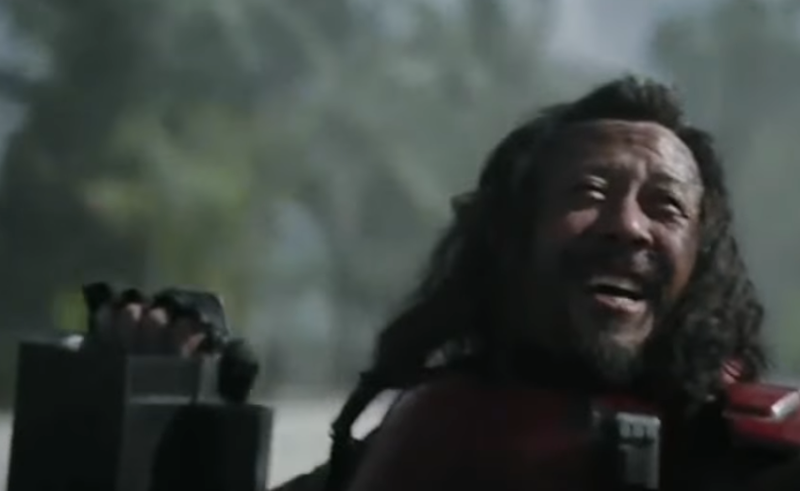 The trailer ends with the lighthearted moment between Chirrut and Baze that we saw in the international trailer. This tells us that Rogue One is really trying to show people that it has the same humor that's helped to define Star Wars. The trailers didn't bother with this too much, so this must just be a small, last-minute shift in the marketing. What do you think of this promo? Do you think Jyn's family necklace has a Kyber crystal? Tell me in the comments or tweet to @SithObserver, and may the Force be with you all. 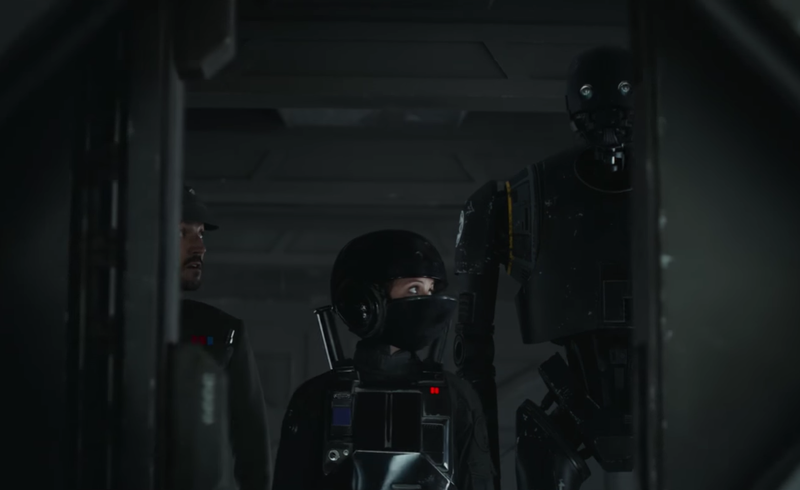 Disney's "Magical Holiday Celebration" on ABC tonight gave us an exclusive look at Rogue One, which pretty much just amounted to a lengthy TV spot. 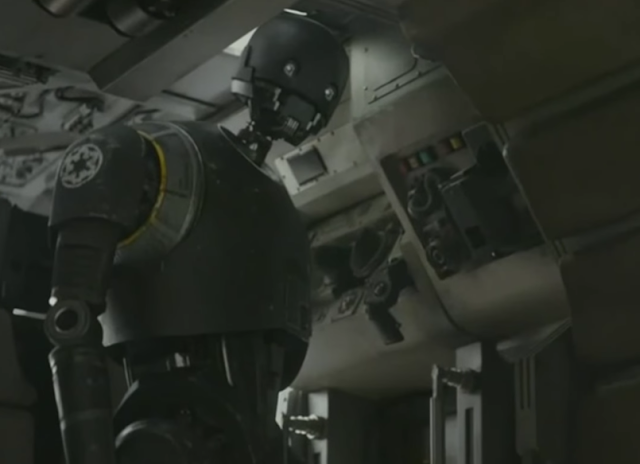 Nothing truly incredible was revealed, but we got some K-2SO moments and a new line of dialogue from Krennic, as well as a few other notable pieces of footage. "I'll be there for you," K-2SO assures Jyn. She looks up. "The Captain said I had to," he quickly explains. "Charming," she replies. This is another demonstration of Kaytoo's devotion to "the Captain," better known as Cassian Andor. He's got attitude, but he's completely obedient to the man who reprogrammed him. 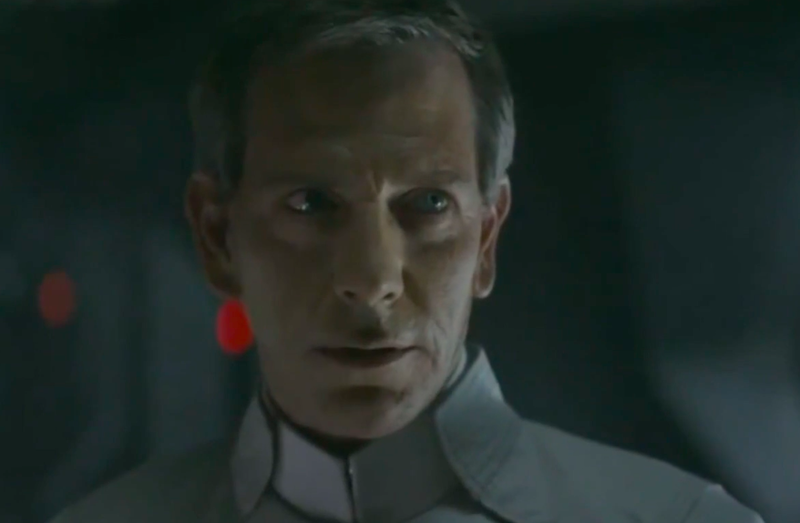 "I will not fail," Krennic says. We can assume that he's talking to Darth Vader, who's a little skeptical of Krennic's work and is sent to check on his progress. This line echoes the classic Vader quote, "You have failed me for the last time," which he utters while Force-choking Admiral Ozzel. When the Rebels capture the Death Star plans and Krennic essentially fails, he'll probably receive the exact same fate as Ozzel. Kaytoo catches a grenade thrown by a stormtrooper. "Imperial forces are converging on our present location," he informs Jyn and Cassian as he casually hurls it at approaching troopers. 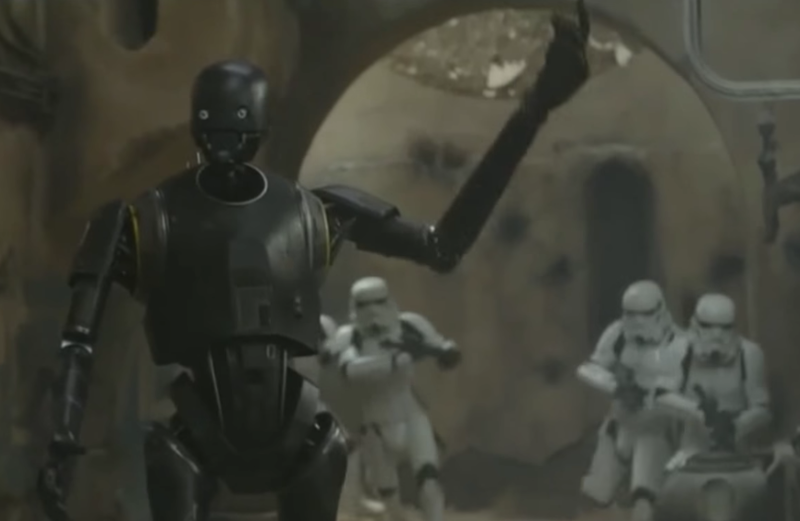 The droid's lightning-fast reflexes and superior strength seem to make him an especially efficient warrior. Baze shoots an AT-ACT in the head with a rocket. The head starts to readjust and Baze looks worried until X-Wings suddenly destroy the walker. 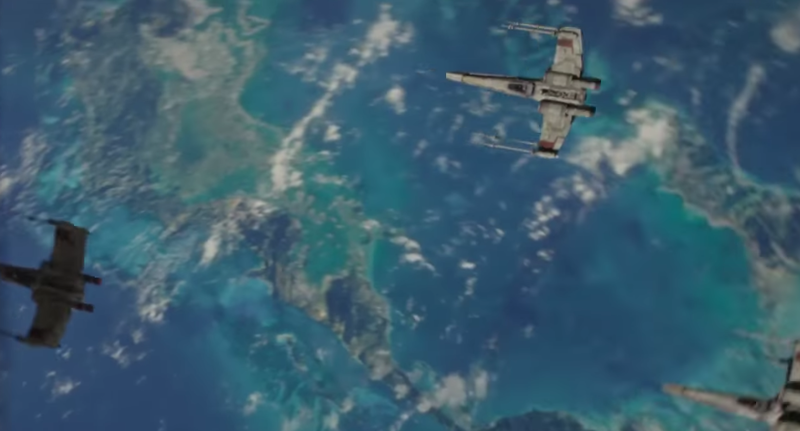 This might be the X-Wings' introduction into the ground portion of the Battle of Scarif after they breach the Shield Gate that protects the planet. What do you think of this ad? 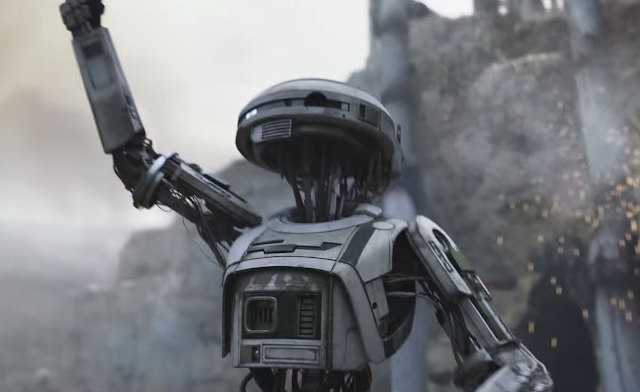 What kind of K-2SO action are you hoping for? Tell me in the comments, and may the Force be with you all. 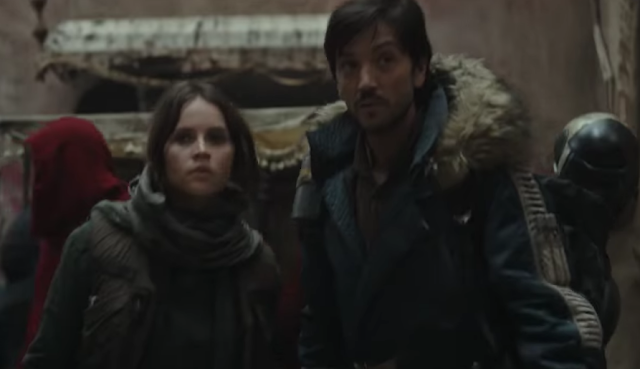 A few days ago, we got a Rogue One TV spot that focused on Jyn and Cassian's relationship. We now have another ad that puts the spotlight on Jyn's relationship with another important male character: Galen Erso, her father. 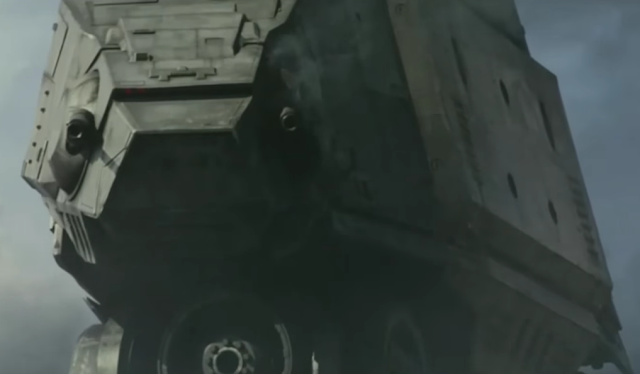 Unlike the previous TV spots, this one largely ignores the film's exciting ground/space battles in favor of showcasing the film's emotional core. 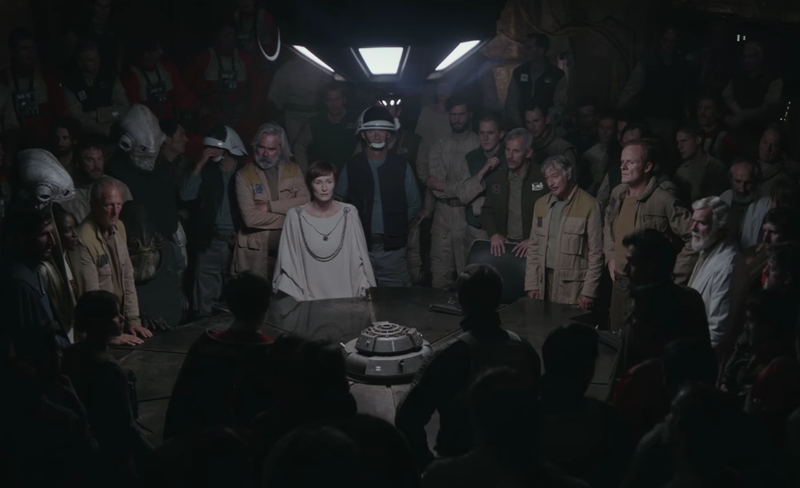 Instead of rousing one-liners about hope and rebellion, we just hear the characters discuss Galen's connection to the Death Star and Jyn's urgency to find him and "bring him back." And instead of shots of the Rebels fighting on/above Scarif, we see visuals of Jedha's destruction that are meant to demonstrate the superweapon's power and emphasize Galen's importance as its architect. 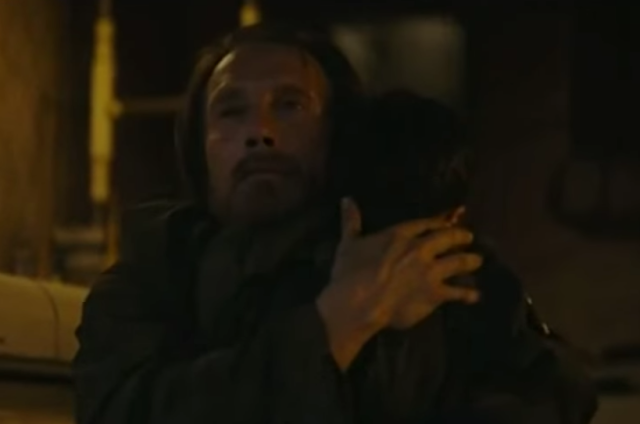 The final shot is some new footage of young Jyn tenderly embracing Galen, a stark contrast to the thrilling action that has ended most of the previous trailers and TV spots. 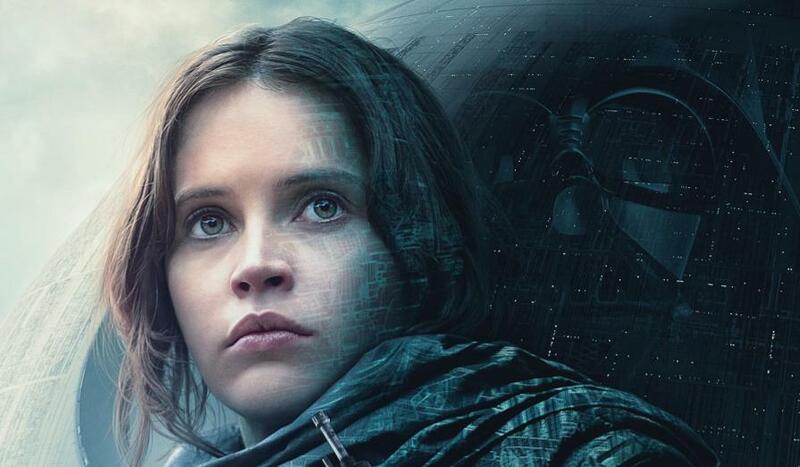 It seems that Rogue One's marketing is unwilling to show us anything of Jyn and Galen's inevitable reunion in the film, but it's not shy about displaying Jyn's ultra-personal connection to the Death Star. That's right, we've got yet another Star Wars character with serious daddy issues here. 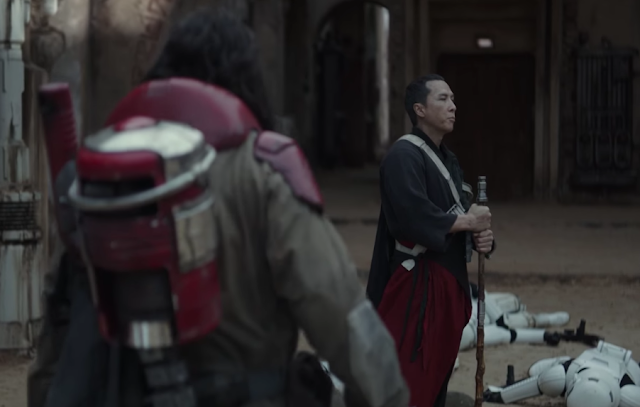 Since we're starting to get TV spots focused on individual relationships in the film, we'll hopefully get an ad that highlights Chirrut and Baze's close friendship in the next few weeks. 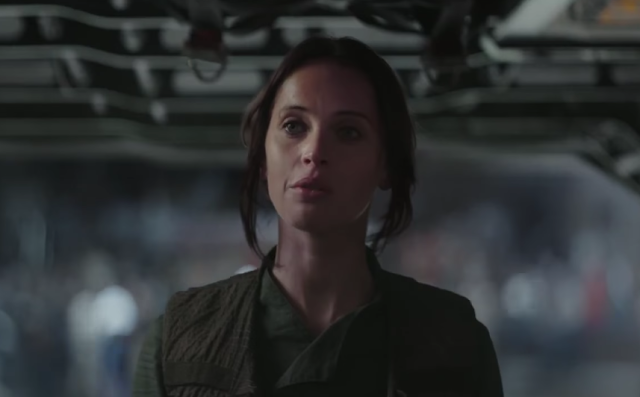 Where do you think will transpire between Jyn and Galen in the film? Tell me in the comments or twee to @SithObserver, and may the Force be with you all. 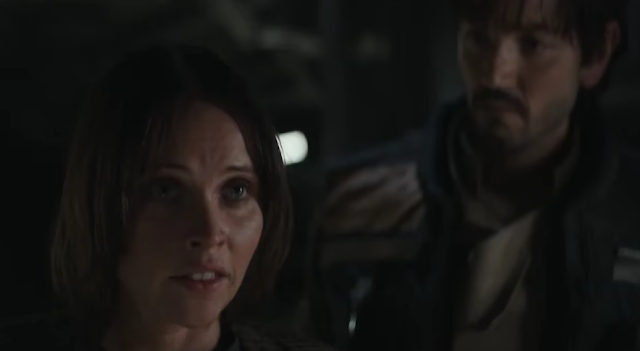 An extended Rogue One TV spot was released today, this time centering on one of the film's most important relationships: Jyn Erso and Cassian Andor. First, a nice throwback to Jyn and Mon Mothma's exchange from the very first teaser trailer, culminating in "This is a rebellion, isn't it? I rebel." 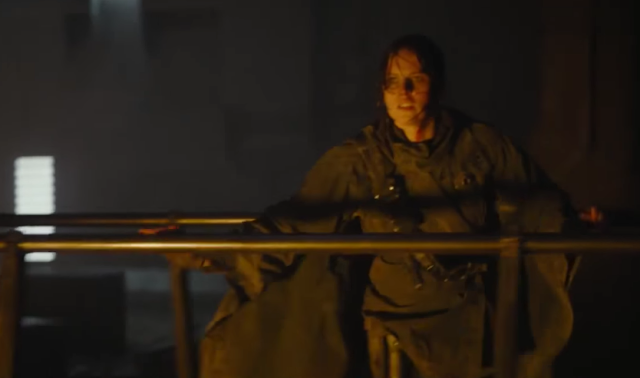 This is obviously nothing new for us, but it assures us that the volatile, disagreeable Jyn who we first met back in April hasn't been totally obliterated by the reshoots. "I can't face myself if I give up now," Cassian admits to Jyn. This tells us that Cassian has a genuine moral compass. For him, this is more than just a grudge against the Empire; while Jyn, Chirrut, and Baze have personal vendettas, Cassian just wants to do the right thing. Their Imperial cargo shuttle lands on Scarif. We saw this vessel take off from the Yavin 4 base earlier in this TV spot (around the 0:15 mark), so this shot pretty much confirms that this hijacked shuttle is how Jyn, Cassian, and K-2SO sneak into the Scarif facility. 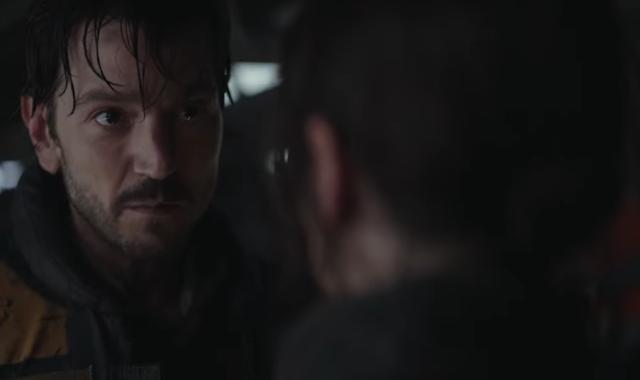 This TV spot begs the question, are Jyn and Cassian just reluctant friends in the film, or will they become something more? There are already fans shipping this couple, and you can't really blame them; you'd expect a young, attractive duo like this to become romantic partners in a film – or at least, share a dramatic kiss at some point. In any case, Jyn and Cassian's relationship will definitely be something to look out for in Rogue One. What do you think of this TV spot? 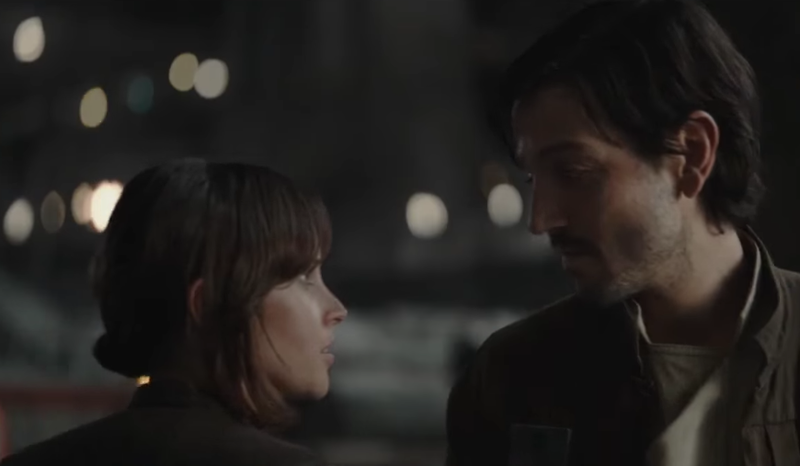 Do you think Jyn and Cassian will be friends, or lovers? Tell me in the comments or tweet to @SithObserver, and may the Force be with you all. A new behind-the-scenes featurette for Rogue One was released today, delivering several noteworthy new pieces of footage, as well as the film's official MPAA rating. 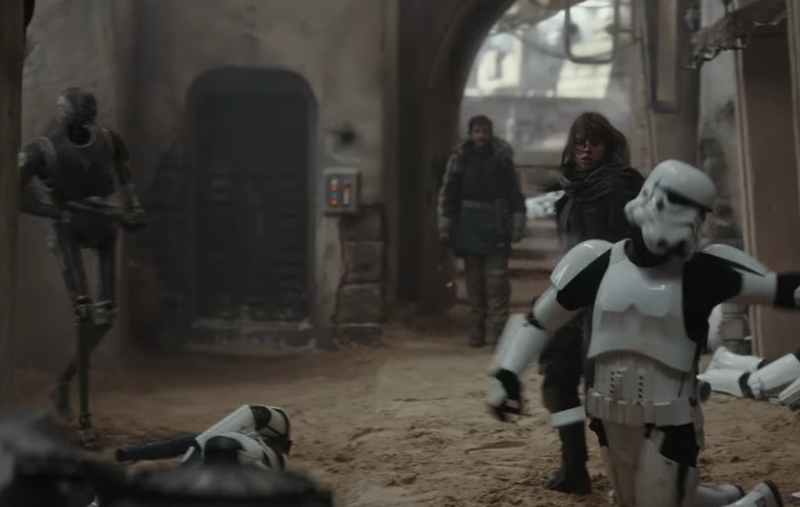 Jyn hits a stormtrooper with a baton and then opens fire on a few others on a Jedha street. We've been getting glimpses of the Jedha action sequences since the very first trailer. 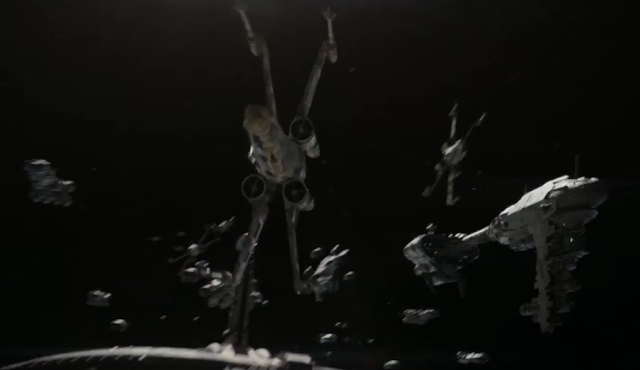 It seems that this is where Jyn demonstrates her combat skills (to both the other characters and the audience) by singlehandedly taking out a group of stormtroopers like the badass she is. "Light the place up, and make ten men feel like a hundred," Cassian instructs his fellow Rebels. 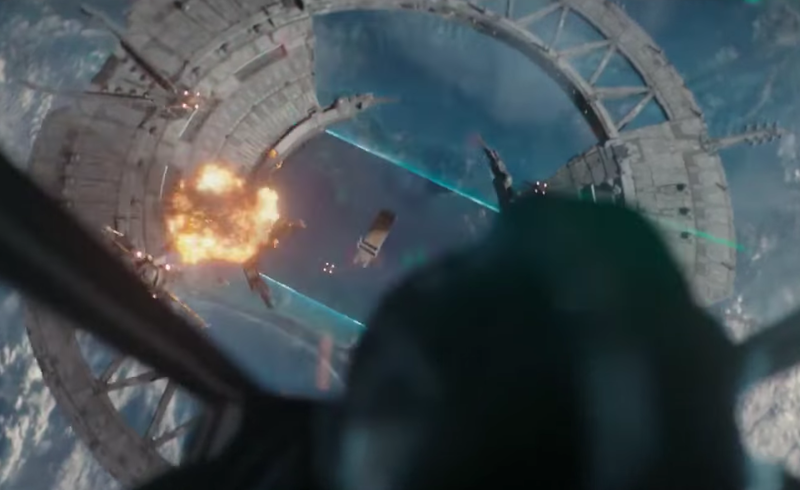 We don't know which battle they're preparing for in this scene, but the "light the place up" bit sounds like the shots of X-Wings and A-Wings bombarding the Imperial base on Eadu in the trailers. The major figures of the Rebel Alliance gather around a hologram projector. There's a lot of familiar faces to recognize here; classic Rebel leaders like Mon Mothma and General Dodonna, a couple of Mon Calamari (one of whom is named Admiral Raddus), and Jyn in the lower left corner. You might even be able to spot Bail Organa if you looked hard enough. 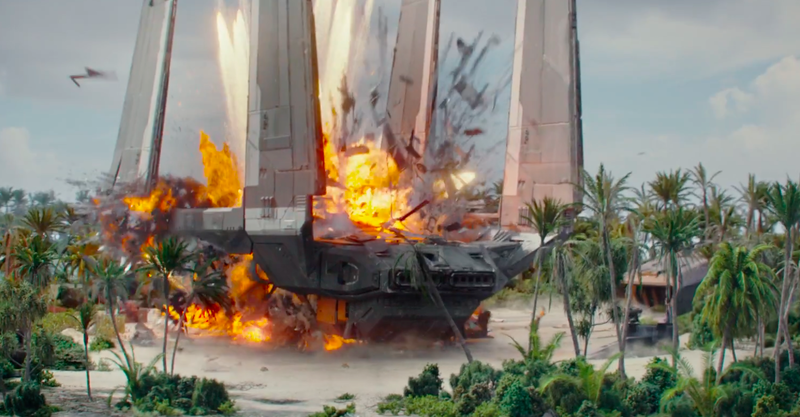 A U-Wing violently crashes on the Scarif beach. Maybe this is supposed to explain why there are no U-Wings in the Original Trilogy: because they were all destroyed during the Battle of Scarif. "Anyone not willing to risk being left behind, now's your chance to speak up," Jyn says. This might be foreshadowing how at least one of our main heroes die: the Rebels escape with the Death Star plans and leave one of their own stranded on a planet full of stormtroopers and AT-ACT's. 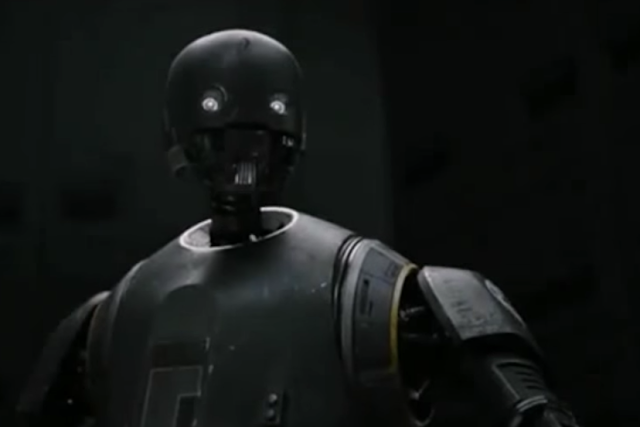 "That is a bad idea," K-2SO suggests. Jyn and Cassian shush him as they stealthily enter the Imperial facility on Scarif. 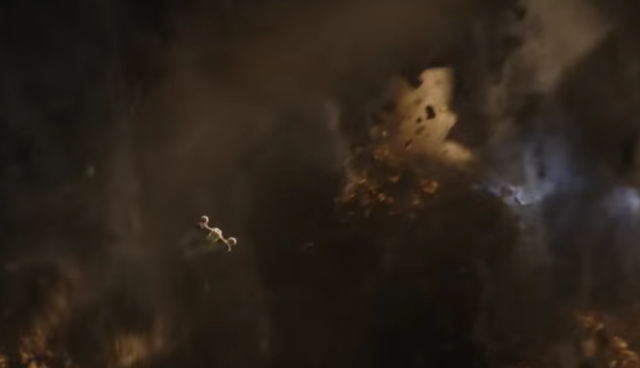 We saw this shot in the final trailer, but now we can hear the dialogue paired with it. Bistan blasts an AT-ACT in the leg from the comfort of a U-Wing. 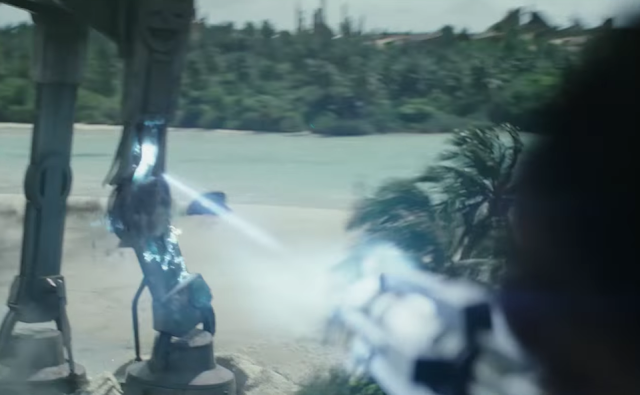 Turns out that rapid-fire gun is actually a lot more effective than it looks; it's armed with ion blasts specifically designed to cripple the Imperial walkers. What do you think of this featurette? Tell me in the comments or tweet to @SithObserver, and may the Force be with you all. It's become abundantly clear that Rogue One's marketing has no intentions of slowing down over the next month. Just yesterday, we got an amazing Japanese trailer, and today we have another international trailer (this time in Korean) and two new TV spots. "They call it the Death Star. It's capable of destroying an entire planet. It could be the end of us all. 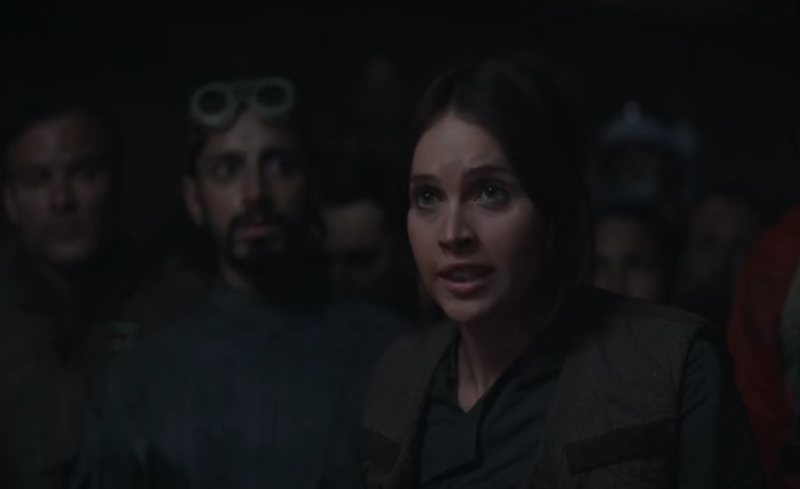 There's a way to defeat it: you need to capture the plans," Jyn says during a Rebel conference. There's some handy exposition for you. After learning some key details about the Death Star, Jyn and Cassian have returned to the Yavin 4 base to share this news. It seems that she's not really planning on capturing the plans herself, but she's just accidentally volunteered for the mission. "You almost shot me!" Chirrut gripes after Baze shoots down several stormtroopers in front of him. "You're welcome," Baze replies as he hands Chirrut his bowcaster. This brief moment seems to perfectly represent their friendship and the differences in their personalities. The team's U-Wing soars through hyperspace. 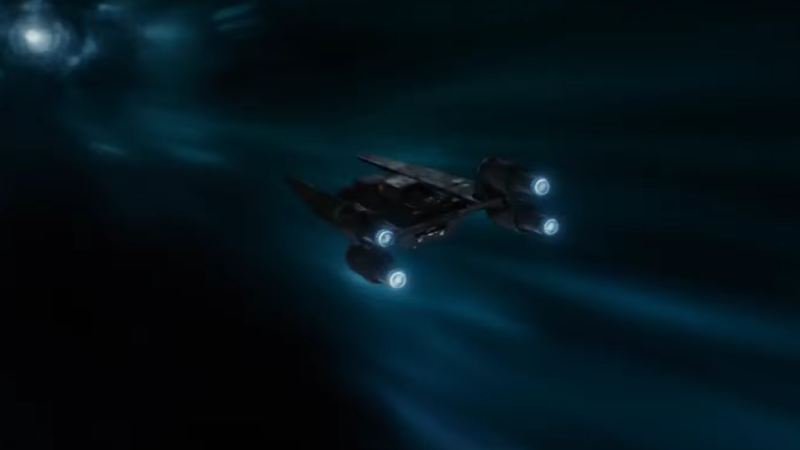 There's nothing especially significant about this shot (we've seen their ship jump to hyperspace before), but it's a nice little demonstration of some classic Star Wars effects. 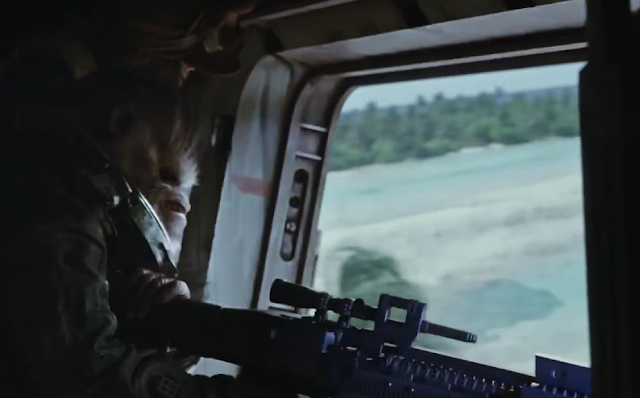 Bistan opens fire onto the Scarif beach from a U-Wing. This "Space Monkey" first got attention when he appeared in the Celebration Reel, but this is the first time we've seen him in a trailer. He mainly just serves as a U-Wing gunner. 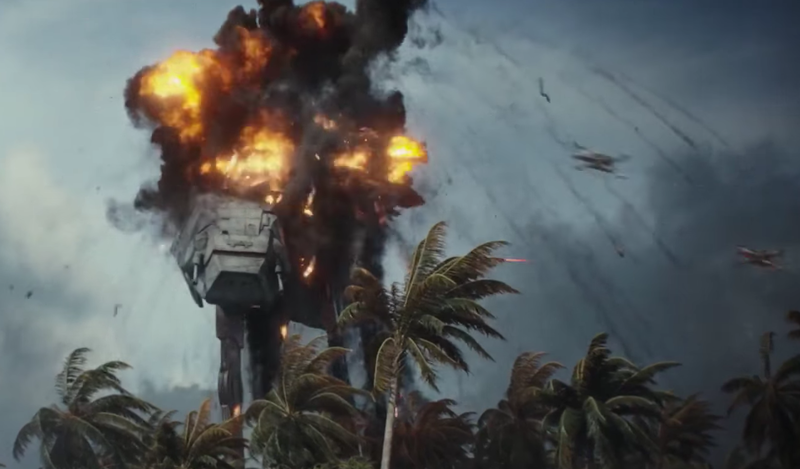 X-Wings destroy an AT-ACT on Scarif. 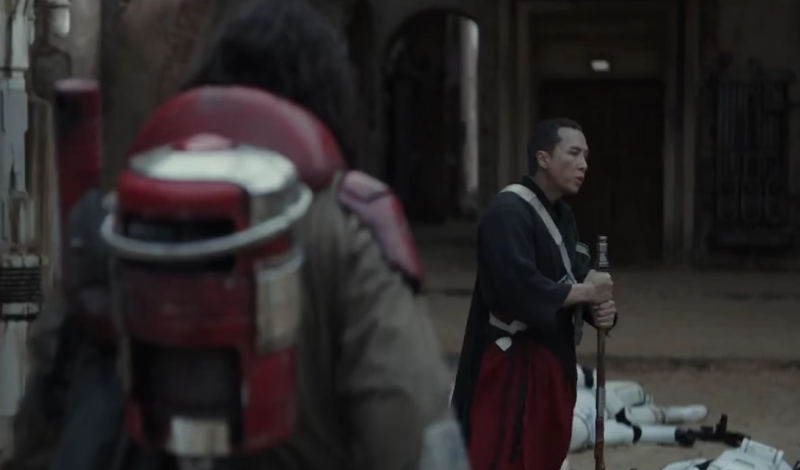 So it looks like Baze and his rocket launcher won't have to do all the hard work to get through those walkers. Jyn whacks a Rebel soldier in the Imperial prison. Um, wasn't this the guy who unlocked her handcuffs in the final trailer? She must be more interested in her own escape than whatever mission these Rebels have planned for her. No wonder she's back in her shackles when they bring her to the Yavin 4 base. 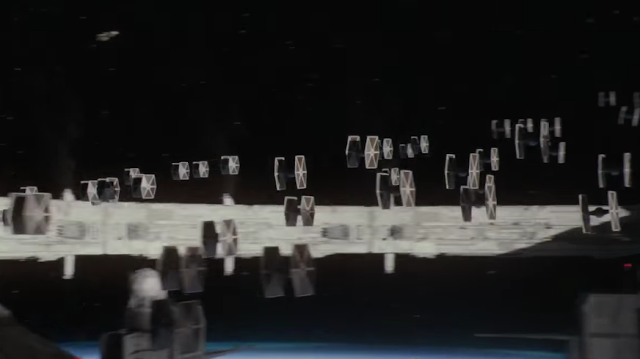 The Rebellion launches their attack on the Imperial installation above Scarif. Those recognizable cruisers in the background are part of the Alliance fleet that we first saw in Return of the Jedi. This tells us that the Rebels aren't just sending a few fighter squadrons; they're using every resource they have to win the Battle of Scarif. The X-Wings open fire on their target. 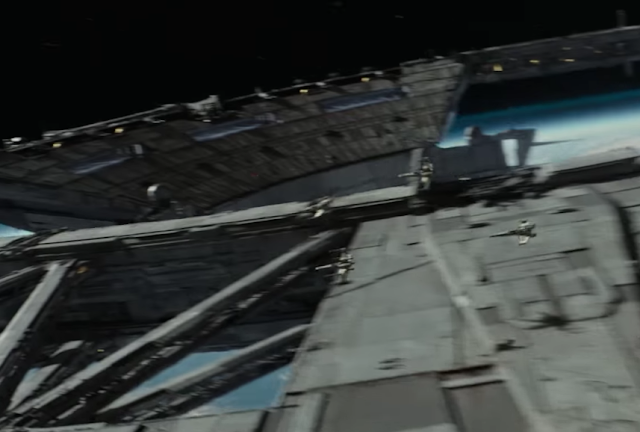 This is our first good look at the large, round space station. (Not to be confused with that other large, round space station in Rogue One.) Its function remains unknown, but there definitely looks to be some kind of shield generator component. 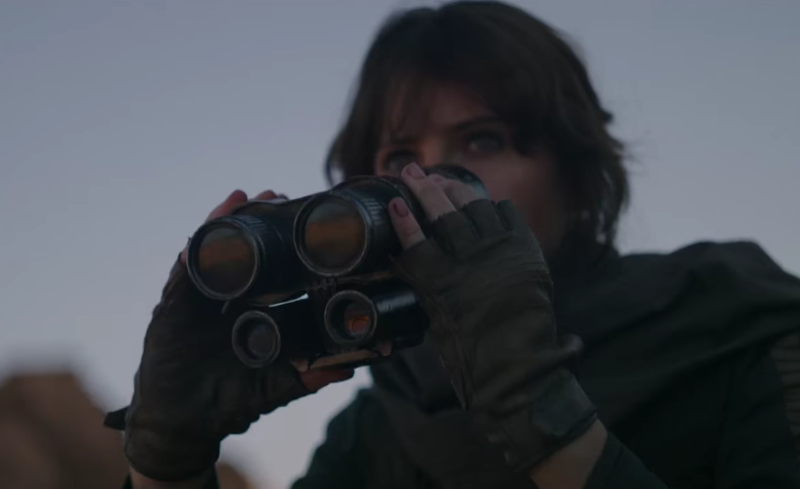 Jyn lowers binoculars from her face on Jedha. This is part of a scene in which she, Cassian, and K-2SO scout out Jedha's principal city. "Welcome to Rogue One," she says aboard the U-Wing. Yep, they just said the name of the movie. Again. Dozens of TIE fighters exit the Imperial space station. This is a very cool shot for a number of reasons. Mainly, it just shows us that the Empire isn't going to let those pesky Rebels land on Scarif without putting up a fight first. An Imperial cargo shuttle takes off from the Yavin 4 base with the Rebel team onboard. 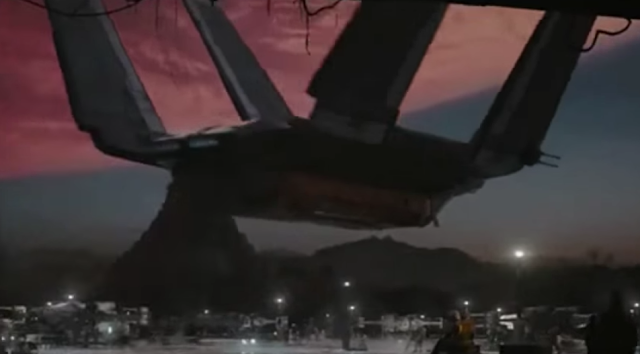 These four-winged ships have been seen flying around Jedha and getting blown up on Scarif in previous trailers. This must be how the team sneaks into an Imperial base. 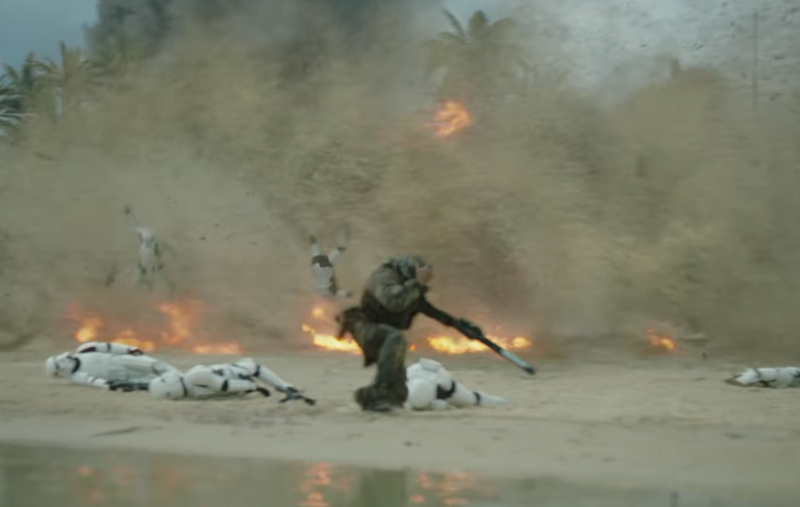 K-2SO picks up a stormtrooper and throws him into another trooper. "Security measures disabled," he announces. Finally, Kaytoo's getting some action. 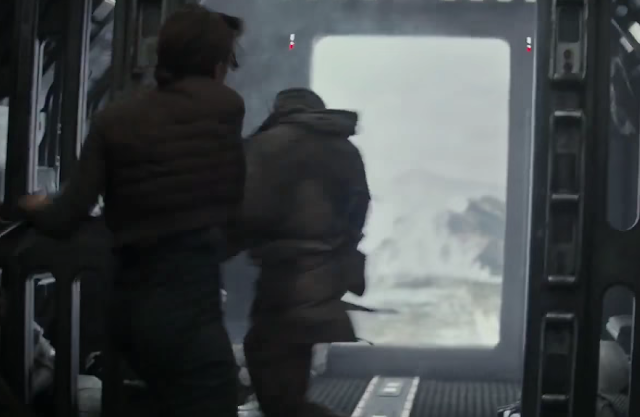 Prior to this TV spot, we mostly just got quick shots of him standing around while Jyn, Cassian, Chirrut, and Baze got their hands dirty. Baze laughs while holding his rocket launcher on the Scarif beach. Hey, if you had a bazooka as big as that, you'd be pretty happy too. He's probably celebrating the destruction of an AT-ACT, either by his own rocket or an X-Wing. What do you think of this trailer and TV spot? Tell me in the comments or tweet to @SithObserver, and may the Force be with you all. Most international movie trailers are just re-cuts of previous trailers with just a few noteworthy bits of previously-unseen footage. 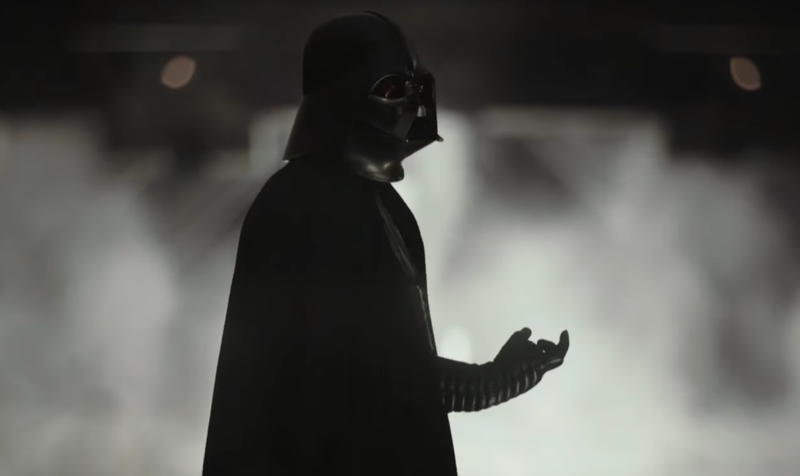 The new Japanese trailer for Rogue One is different; it gives us more details about Jyn's origins, confirms at least one major plot point, and – best of all – contains our best look at Darth Vader yet. 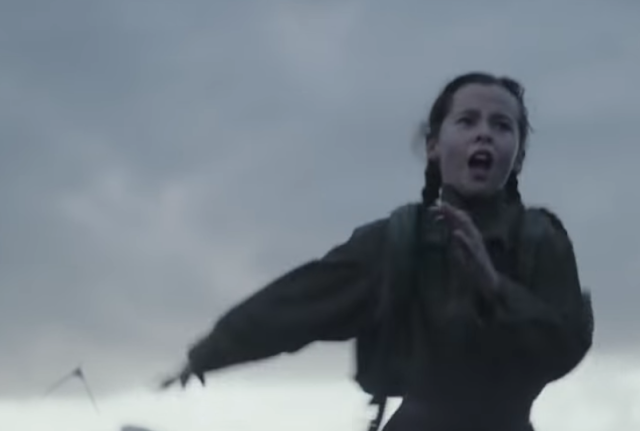 Young Jyn frantically runs across a field as Krennic's shuttle flies over her. She must have spotted the shuttle from afar, and now she's rushing back to her home so that she can warn her parents of their uninvited visitors. That would logically make this Jyn's first scene in the film. "Trust the Force," Lyra Erso whispers to Jyn as she gives her a necklace. We've known for a little while now that Valene Kane would be playing Jyn's mother, but this is the first we've actually seen of her character. 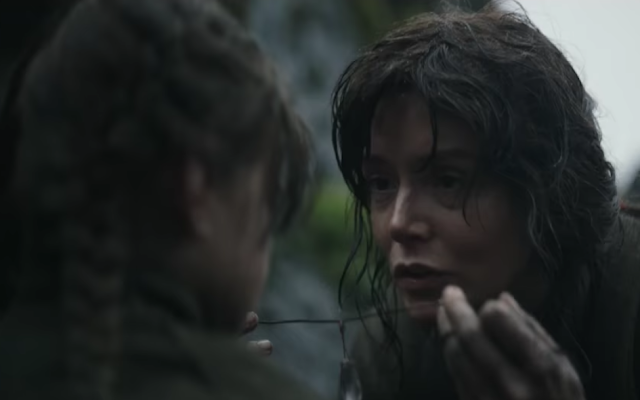 Her words tell us that the Erso family values the Force (hence Jyn's declaration of "May the Force be with you" later in this trailer), and they're supposed to assure Jyn that she'll see her parents again. Years later, Jyn examines the crystal on her necklace in an Imperial cell. Whoa. Since when has she had a Kyber crystal – y'know, those legendary crystals that power Jedi lightsabers – just hanging around her neck? These are also a vital part of the Death Star's design (they power the superlaser), so it would make sense for Galen to have some lying around. "They call it the Death Star," Jyn says. 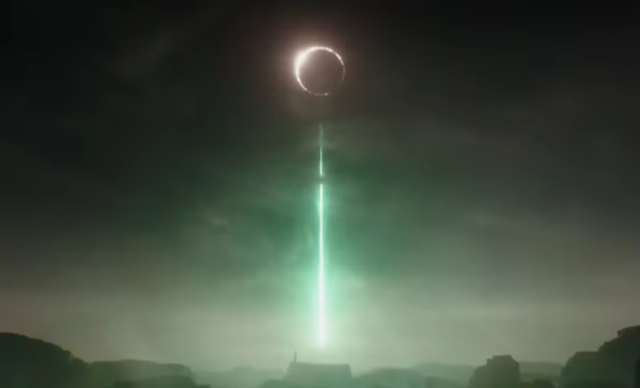 The battle station eclipses Jedha's sun and fires its green laser down onto the moon. 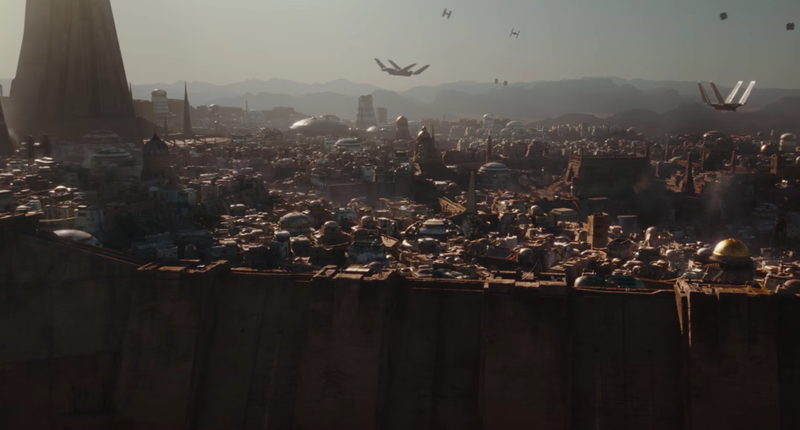 This is an absolutely spectacular shot, and it's the closest we'll get to 100% confirmation that Jedha will indeed be destroyed. 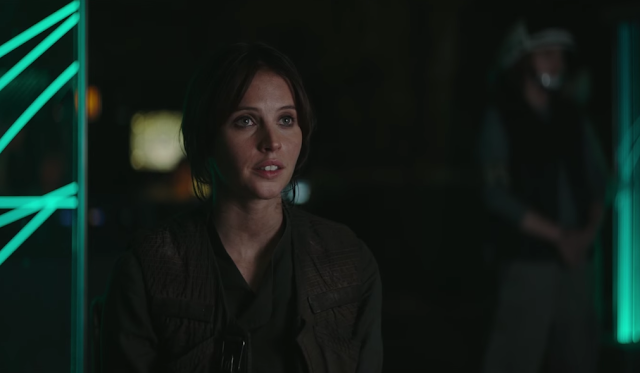 "We need to capture the plans," Jyn explains. The team's U-Wing flies through the remnants of Jedha. Finally, the exact objective of the Rebels' mission is spoken on-screen. We've known that the Death Star plans would be a key plot element since the film's announcement, but aside from the character posters, the marketing has largely neglected to acknowledge this. Jyn grabs a little girl and shields her from danger on the war-torn Jedha street. Obviously this is supposed to tell us that Jyn isn't just a tough, cold-hearted soldier. 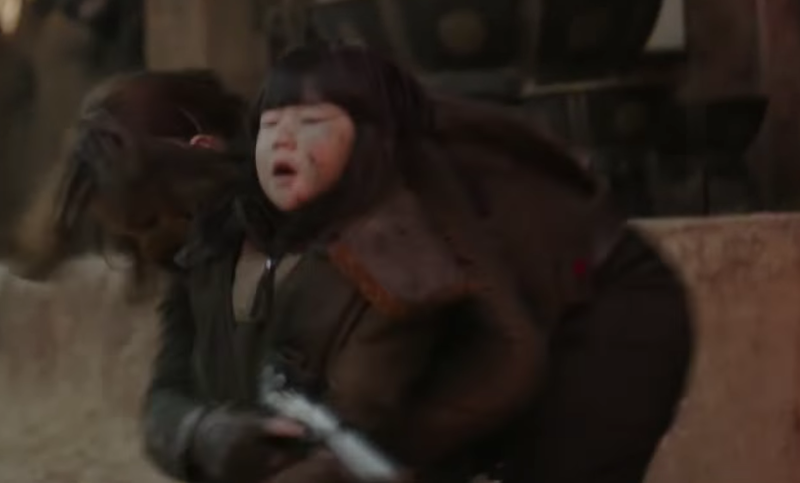 She's one of the few Rebels on Jedha who seems to care about the innocents caught in the middle of their battle. 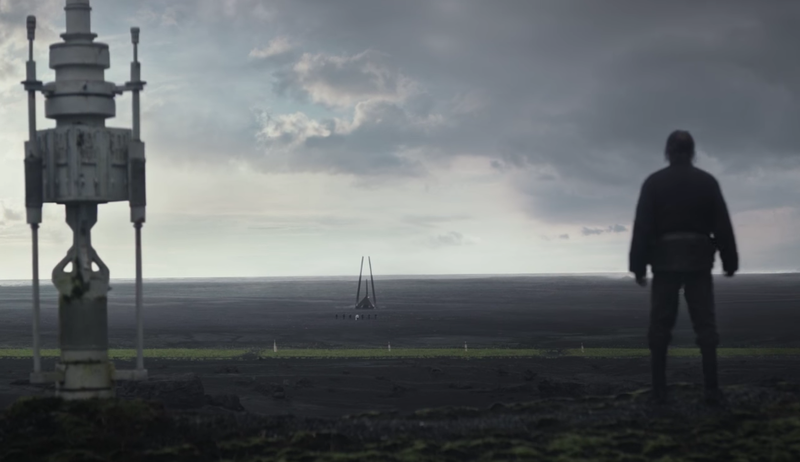 Jyn looks out at the Rebel bombing on Eadu. We know that Galen works at this Imperial facility. It appears that Jyn and the team will try to infiltrate the base and save her father (after Jedha's destruction) before the Rebellion decides to blow it to bits. X-Wings fly through the rungs of a space station. We got a look at this space battle in the final trailer, but this gives us a better look at the planet below. 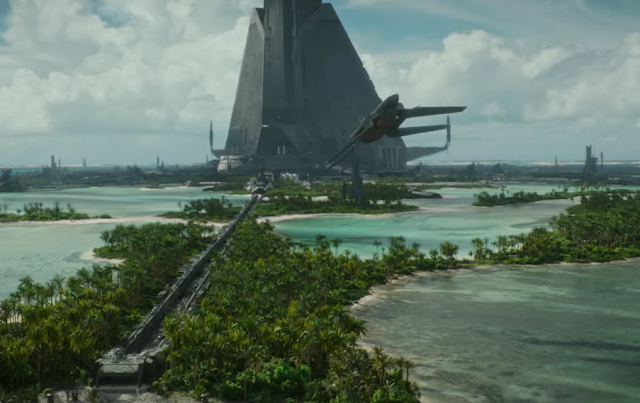 The watery terrain certainly supports that this is Scarif, meaning that this is the outer-space portion of the Battle of Scarif. "We'll follow your lead," Cassian tells Jyn as they walk through the Jedha marketplace. He's an experienced Rebel commander, but in dangerous places such as this – where Jyn has ties to the local Partisans, led by Saw Gerrera – he'll let her give the orders. 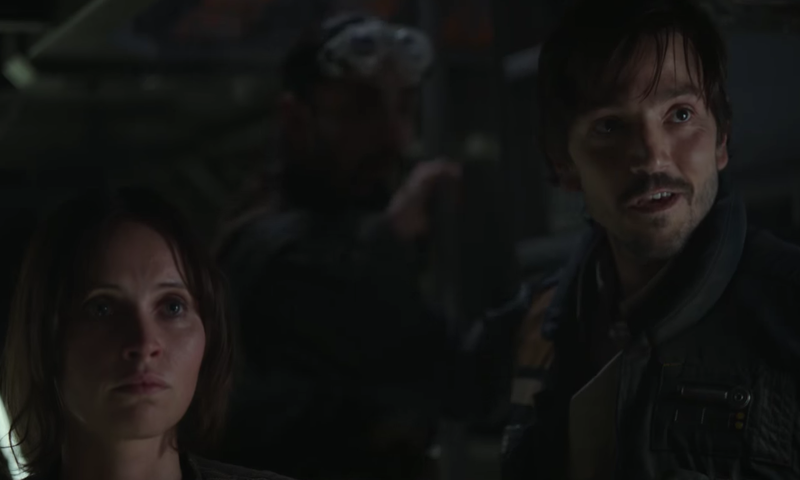 "I'm not used to people sticking around when things go bad," Jyn remarks to Cassian in the Yavin 4 hangar. It would be a little unfair for her to blame her parents for getting captured by the Empire, so maybe she's referring to Saw. If he abandoned her when a mission against the Empire went south, that would explain how she ends up in an Imperial prison at the beginning of the film. "We'll take the next chance, and the next, until we win, or the chances are spent," Jyn says. She seems to have the attitude that persistence is the key to defeating the Empire. Not a bad plan. Darth Vader exhales as he turns around in a smoky room. This is the definition of an epic Vader shot. This is also the same room where we saw him stomping towards Krennic in the second trailer; his outstretched hand might indicate that he just delivered a signature Force-choke. What did you think of this trailer? Tell me in the comments or tweet to @SithObserver, and may the Force be with you all. Clip - "Han Meets Lando"
Clip - "190 Years Old"
©2014 Sith Observer. Awesome Inc. theme. Powered by Blogger.